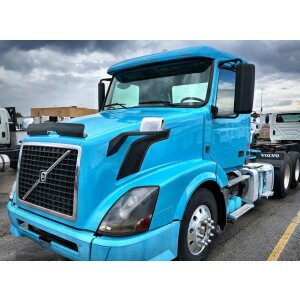 Choose Volvo day cab trucks for sale to gain success in your business. Those vehicles are ones of the most reliable and safe in the world. Volvo produces trucks since the 1920s. 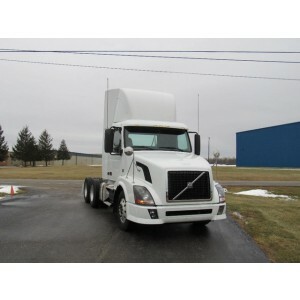 Cheap Volvo day cab is best option to launch your business or expand an existing fleet of vehicles. 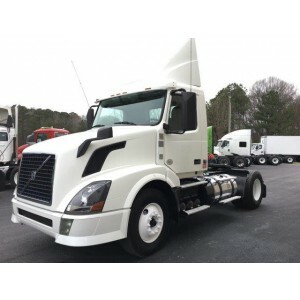 Volvo VNL day cabs are one of the most popular series on the American truck market. 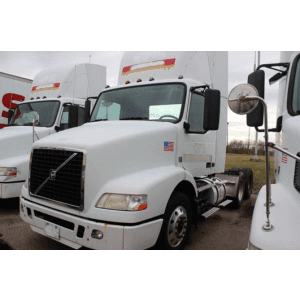 The American Volvo VNL family is one of an extensive line of topical and technically advanced mainline trucks of various characteristics and sizes. There is both a flagship model and simpler models that are in high demand. 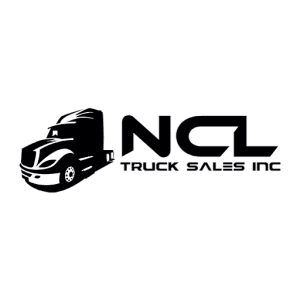 Requests of commercial carriers are sometimes peculiar: someone needs power and impressive size, and someone wants a narrower set of characteristics. The Eaton Fuller transmission is installed into all Volvo VNL class trucks. In the basic configuration, you can choose both a mechanical gear shift and full automation. The intellectual mechanical I-Shift has 12 transmissions available. Eaton AMT UltraShift, which is fully automatic, involves more choices: 9, 10, 13, 15 and 18 transmissions respectively. 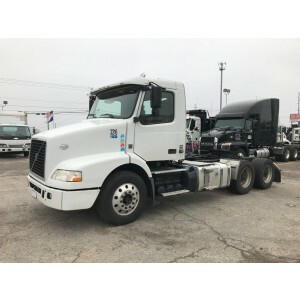 Volvo Trucks has developed a heavy-duty truck designed for the North American continent, as well as for operation in harsh conditions. Volvo VNX is equipped with a D16 engine and its power reach six hundred horsepower, as well as a torque of 2050 Nm. Volvo VNX has an increased ground clearance, thanks to which it is much more convenient to work in off-road difficult conditions. 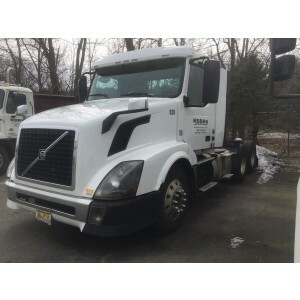 Volvo day cab trucks for sale help to organize local transportation with high productivity and carrying capacity. The dashboard is identical to the series trucks with two comfortable cup holders and a yellow button of the hand brake. This original idea of the Volvo Trucks specialists is roaming from the truck to the truck. Overview from the cabin is qualitative thanks to large slightly inclined side windows and rear-view mirrors. The driver's seat is spacious and made in accordance with the requirements of the time: professionally made armchairs with enhanced safety. Three-point belts with auto drainers are responsible for this. The steering wheel is easily adjustable and there is a power steering and vibration reduction system. For personal things, there is a large number of boxes and shelves. various variants of the engine. The interior is decorated with numerous lamps that create a warm and cozy home atmosphere. The feeling of light and warmth is created by the large windows and a spacious sunroof. The onboard computer and the diagnostic display, displaying various system warnings, and various digital instruments with liquid crystal monitors, such as a tachometer, a speedometer, are always in sight. 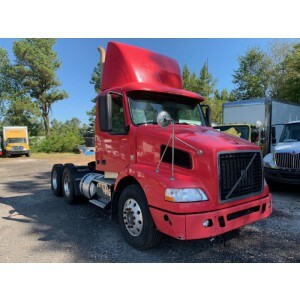 Volvo day cab for sale is a truck with outstanding technical parameters. Some models allow you to transports cargo with a maximum weight of up to 60 tons at a speed of 63 mph. 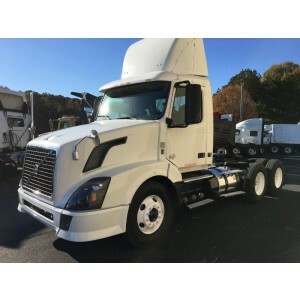 Wholesale Volvo day cab will save a decent amount of money. 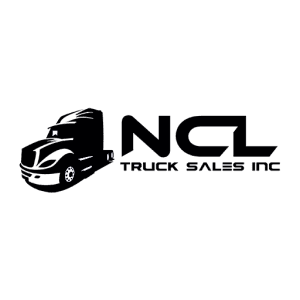 At the same time, you are buying reliable trucks that will guarantee qualitative and timely deliveries.